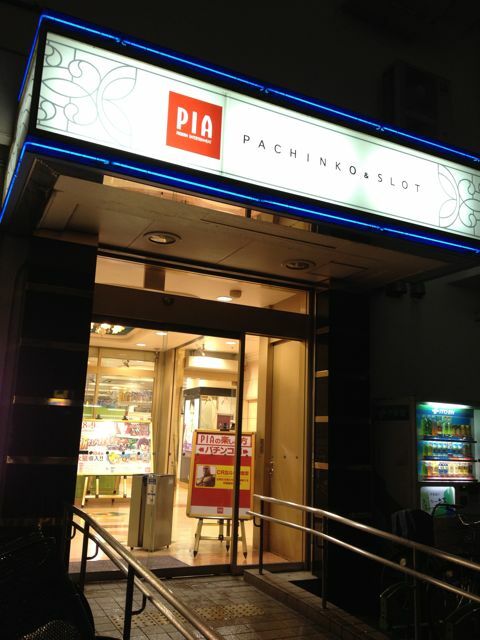 Pachinko is big in Japan. It’s so pervasive that you can roughly gauge the health of the Japanese economy by how the pachinko parlors are doing. As far as I know, no one has made a pachinko index, but if you could get any kind of reliable information in that sector it would probably be a good way to forecast national economic trends. When I first came here about 10 years ago, many of the parlors built during the Bubble had been shut down and their corpses moldered amid the real-estate slump. As the economy settled over the next few years and began to recover new pachinko parlors were built, and some of the abandoned ones were remodeled and re-opened. Certain forms of gambling have quasi-legal status in Japan. Officially, pachinko machines are “adult games,” not gambling. The police have a tendency to overlook those anonymous little windows mysteriously located near a pachinko parlor, where you can exchange tokens or prizes for cash. This selective blindness is certainly not a result of monetary or gift exchanges between the police and the yakuza who are often involved in running the parlors. No sir, there’s absolutely no culture of bribery in Japan. Politicians are not accused of misappropriation of funds on a regular basis, and businesses here absolutely do not engage in shady practices like hiring “entertainers” after a night of expensive drinking and dining for people they hope to influence. Nope, doesn’t happen. Besides the stupidity of gambling in general (play long enough, and the odds will always favor the house), I personally loathe the pachinko parlors because they reek of cigarette smoke, they’re eye-searingly garish inside and out, and they’re LOUD. How loud? This is what it sounds like when you walk through the doors of a pachinko parlor. To get the full effect, you’d have to have some serious speakers connected to your computer. If you don’t instinctively flinch when the doors open, the volume isn’t loud enough. That is the sound of hundreds of machines competing for your attention, and thousands of steel balls bouncing around the innards of the machines. All at the same time.